As I had mentioned in one of the earlier posts, Mr. Reuben Stephen of CEC 2009 EC Batch (reubenstephen@gmail.com) had brought another feather in the crown of CEC, i.e. 30th All India Rank in GATE 2010. This is a wonderful achievement, of course, of which all the CECians can ever be proud of! 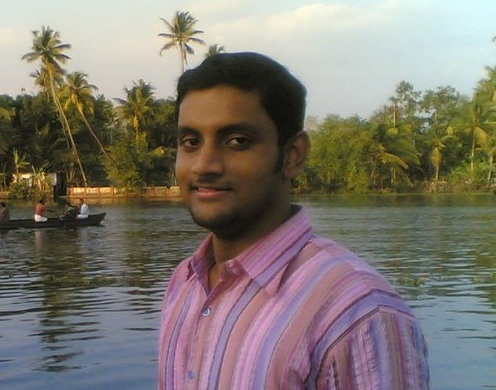 He’s joining IISc Bangalore for his M.E by the last week of July, 2010. 1. Have you taken GATE earlier and how was your performance in it? Yes. I appeared in GATE-2009 and had got a rank of 1990 (95.29 percentile). 2. Can you recollect when you started preparation for GATE 2010? I started thinking of writing GATE again when admissions did not materialize as expected, in 2009. And I started reading basic texts all over again when I got time after completing B.Tech in May. However, full-fledged preparations started only in July. 3. When you started your preparation, what was your aim in GATE? My aim was to get a rank in the top 100. There was a burning desire to study in the premier institutes of the country like the IISc or the IITs. 4. What were the subjects you felt were tough (for EC)? 5. What were the subjects you felt were easy (for EC)? 6. Which books and material did you refer to in your preparation? Network Theory: “Engineering Circuit Analysis”; William H. Hayt, Jack E. Kemmerly, Steven M. Durbin (Tata McGraw Hill). This book is strongly recommended for grasping the fundamentals of Network Theory. The nature of this subject is such that if you have a thorough knowledge of the few basic concepts, you can tackle any problem. Signals and Systems: “Signals and Systems”; Alan V. Oppenheim, Alan S. Willsky with S. Hamid Nawab (PHI). This is a truly wonderful book if you have the patience to read through from the introduction. Control Systems: “Modern Control Engineering”; Katsuhiko Ogata (PHI). 7. How did your institution (ACE Coaching Centre) help in your preparation? The lectures were immensely helpful. They changed my approach toward engineering subjects and cleared many misconceptions. 8. Do you find that CEC’s lectures helped you in securing GATE? Up to what extend? Yes. I found that the lectures given by Nisha Kuruvilla ma’am in Microprocessors and Deepa J. ma’am in Digital Electronics were more than sufficient for GATE preparation. In fact, I could recall the main points of these subjects quite clearly, so that there was almost no need to look through them again. 9. In your opinion what are the major reasons for your success in GATE? Dedication and God’s grace. During the days of my preparation my focus was entirely on securing a good rank in GATE and I took everything else out of my mind. It is an accepted fact that quality is more important than quantity when studying. Success depends mostly on how focused you are about your goal and how hard you work for it. The rest is God’s grace. 10. What was your methodology while preparing for GATE? I tried to read as much as I could of all the basic textbooks, in between working out problems related to the topics I studied. For difficult subjects like EMT, I made notes from the textbook which were helpful for revision of the main points towards the end. Strictly speaking, I did not complete the syllabus. There were some topics that I could only touch upon, without going deep. Personally I feel, for GATE, grasping the fundamentals is much more important than gaining a superficial knowledge of everything. Yes, I was able to revise. I never followed a rigid methodology for revision so I can’t answer the question “how many times”. Revision mainly consisted of trying out problems. However, I did get the chance to go through some subjects or topics again once or twice. 12. How did you prepare in the last 2 months before GATE? There was no special plan for the last 2 months. I just continued my usual way of studying, i.e. reading and trying out problems. 13. What suggestion and preparation tips would you like to give to GATE aspirants? Ideally, I feel, the best time to start preparing for GATE would be in the second year of engineering. The subjects studied in the second year like Network Theory, Digital Electronics, Solid State Devices, etc. are very basic in nature. One should read and try to understand the basic textbooks in these subjects thoroughly. This policy should be followed into the third year also. If so, revision will be easy amid the hectic schedule in the final semester when you attempt GATE. I would advise appearing for GATE in the third year (6th semester) itself, so that you will get a feel of it. It is not a difficult proposition as most of the topics in the GATE syllabus would have been covered by the time the 5th semester is completed. And finally, even if you didn’t do all of the above it doesn’t matter. What matters is your dedication and hard work. Aim for the topmost spot and pursue your aim diligently. You will definitely get your reward. 14. Which institute and specialization are you planning to take up? M.E in Communication engineering at the Indian Institute of Science, Bangalore (hopefully!). This entry was posted in 2009 Batch, Achievements of CECians/CEC, Exams and Results, Higher Studies, Interview and tagged 2009 Batch, ACE, CEC, CEC 2009, CEC 2009 Batch, CEC GATE, CEC GATE 2010 Topper, EC, GATE 2010, GATE 2010 Topper, GATE Topper, Hyderabad, Interview, Reuben, Reuben Stephen, Topper. Bookmark the permalink.